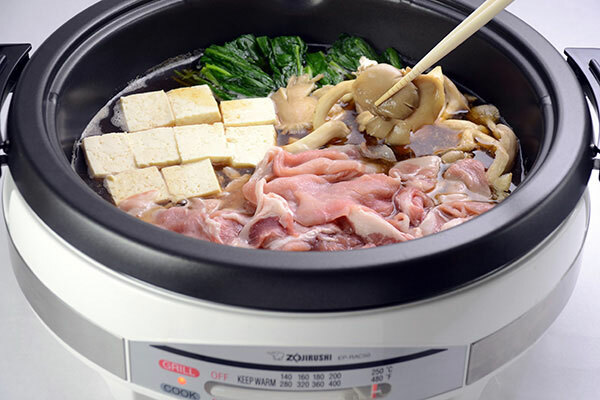 Soy milk is becoming popular among those who are health conscious in Japan. 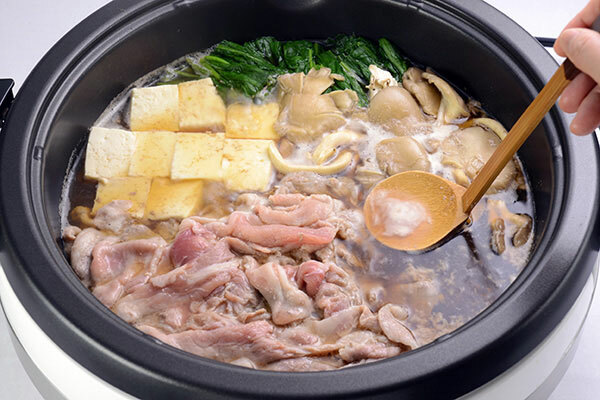 By adding soy milk to the nabe, the flavor becomes more mild and almost stew-like. 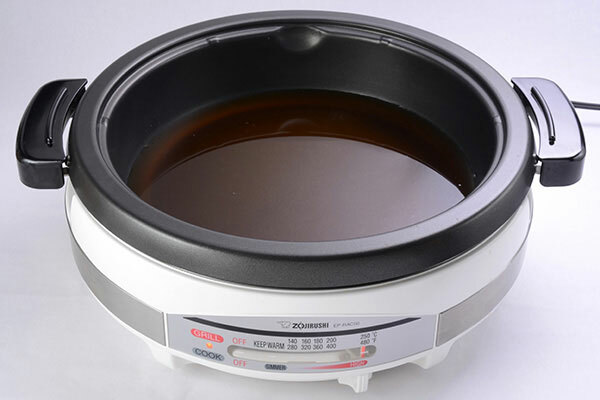 Place dashi, soy sauce, mirin, sugar and salt in the Gourmet d’Expert® Electric Skillet and set temperature to HIGH (480°F/250°C). 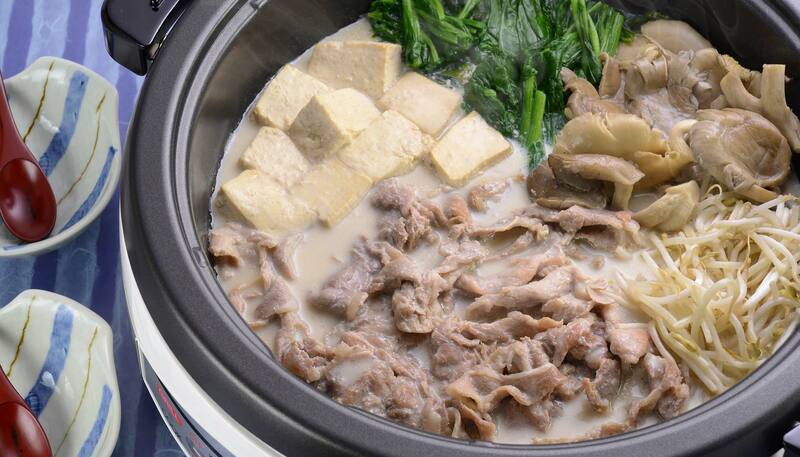 When the liquid reaches a boil, add pork, spinach, tofu and mushroom. Skim off any scum that rises to the surface while the soup reboils. 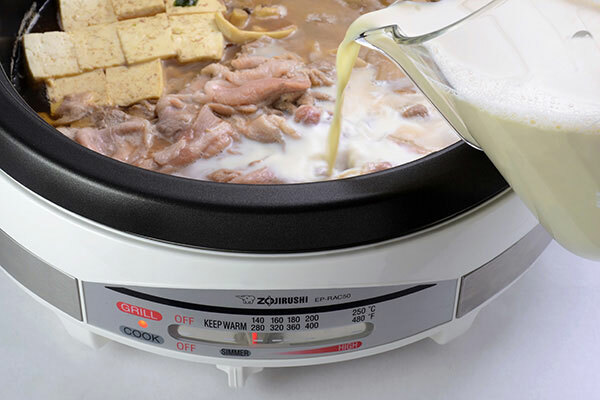 Add soy milk to the skillet and turn down the heat to LOW (280°F/140°C). To prevent it from curdling, do not overheat soy milk. 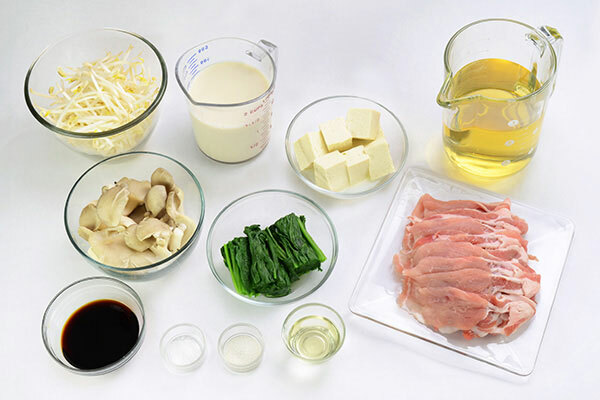 Add bean sprouts just before the soup reboils. 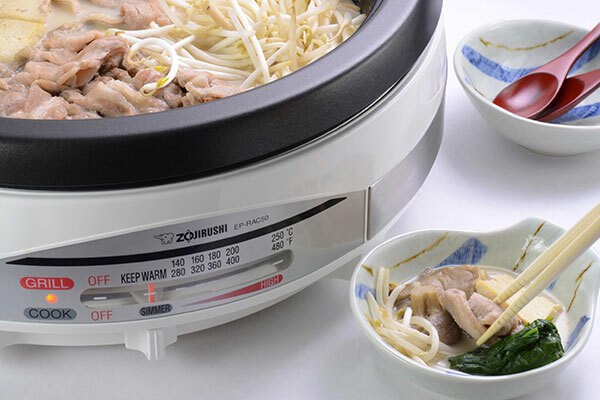 Set the skillet to KEEP WARM, take cooked ingredients from the pot and serve in small bowls. Enjoy!